Gracefully executed design sets a very intentional tone to your wedding. The intricate details and visual aesthetic create a stunning backdrop, allowing the love you share to be the main focus. I love the magic behind conceptualising a grand vision and bringing it to life through carefully curated details. With over five years of experience, I blend my passion for detail-oriented organisation and artistic direction to design and execute your dream wedding day. From creative styling to coordinating logistics to floral design, we handle all the small details so you can focus on enjoying the grand moments. We work with a select number of clients each year to ensure the best quality, communication, and overall client experience for our couples. Our boutique full-service offering is tailored to destination brides who want to partner with a visionary wedding planner in Ireland to seamlessly execute their dream day through event planning, styling, day-of coordinating, and floral design. We will handle everything from sourcing rentals to creating wedding day timelines to implementing your moodboard aesthetic so you have ultimate peace-of-mind from afar. What results is a warm and welcoming experience full of intricate details and stunning designs that you and your guests will remember for a lifetime. Need select service? We’re here to help! This design-focused package is a perfect fit for brides who already intend to handle the logistics of their wedding day themselves but want to partner with a creative designer for artistic direction on aesthetics. We will start by understanding the mood and vibe you want to create with your wedding while noticing the visual elements you gravitate towards. We will use this insight to guide the styling and floral design of your event. 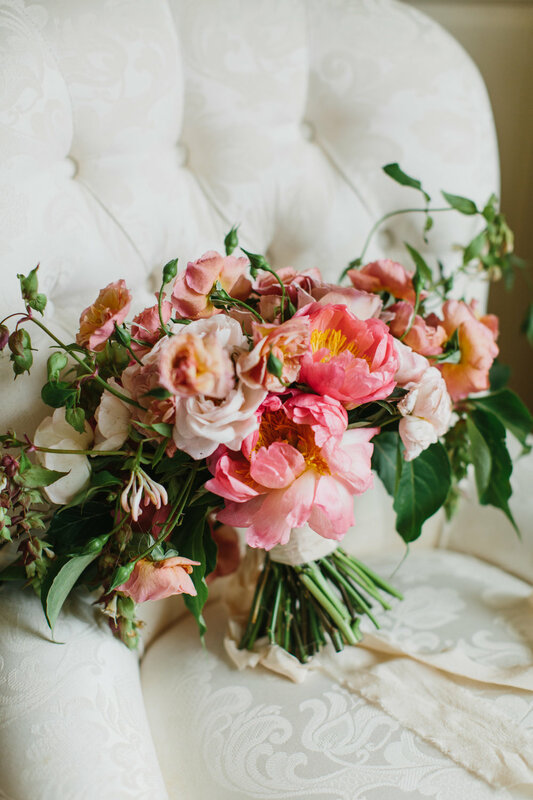 Our floral designs are known for their dreamy, organic, elegant, and understated look. Each floral arrangement is perfectly tailored to fit the vision and aesthetics of your wedding day. We offer a wide variety of floral selections and pairings, which can be easily customized to your unique needs. Contact us today for pricing and a personalized quote!